This is an addendum to a previous post since I was able to get up and get a few pictures of a place where someone who is either older or limited in their ability to wade the streams could fly fish. This spot is on Park Creek near the town of South Fork, Colorado but I can name countless spots just like this for people to have access to easily. 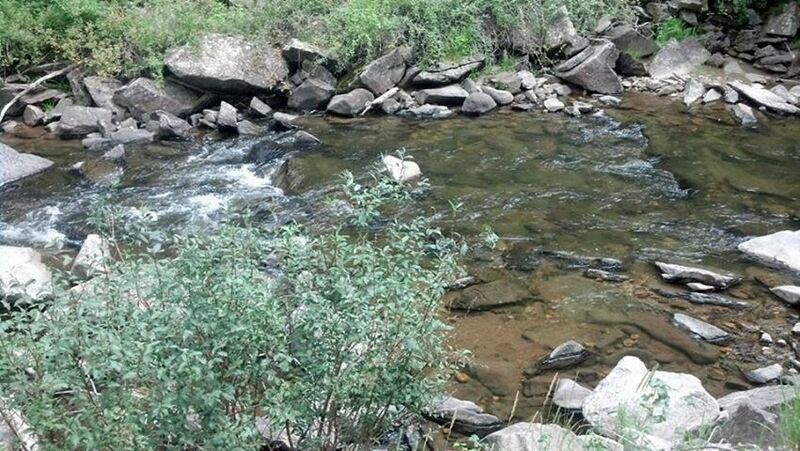 One in mind is in Avon-Vail and has concrete walkways along the river right in town. AND, I caught fish there and some really nice ones to boot. I believe there is a need for places to be identified and maybe developed with older and disabled people in mind for fishing. Not the canned lakefront dock but good places a person can catch a wild trout. The place in the photo is where I bet my son I could catch a trout from the window of the truck. My brothers in law were behind us in their vehicle and I leaned out and cast my fly into the water beside the road, quickly coming up with a ten inch trout. Luck, YES, for sure. 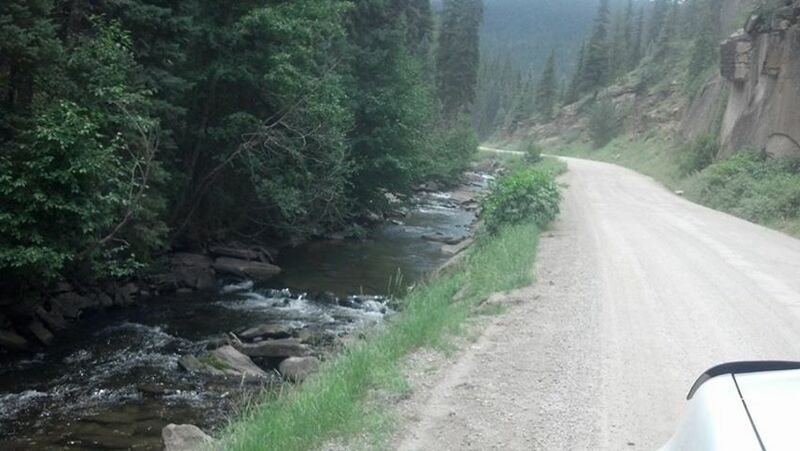 But I have walked that road many times since and always catch trout from the road there. So they are in there in numbers enough to be fun for anyone. Its not pristine, high pasture fishing but if you have to make accommodation due to physical limitations, its better than quitting the sport. There are a myriad of other places in the mountainous regions that are just as accessible if you begin to look. And, I am finding that often, the places closest to the road are often overlooked by the average fisherman and hence, hold some nice trout. So don't give up or give in to those things that would keep you home. Get out there and strive to find a place for yourself in the great outdoors. Whether that be climbing waterfalls to serene pools in a canyon or fishing on a paved path in a city center, find peace in the moment and healing for your soul in the experience. Easy fishing access to stream.